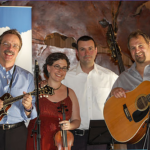 Our fine and diverse programming includes concerts, theatrical and musical performances, lectures seasonal events like Barn Dances and community events such as participation in the Somerset County Weekend Journey Through the Past. We offer an exciting schedule of art exhibits and shows throughout the year. Each themed exhibit is displayed in our Farm House which is open to the public during gallery hours. Special shows are held in the English Barn and are scheduled in the warmer months. All are welcome to meet the featured artists at opening and closing receptions for each exhibit. 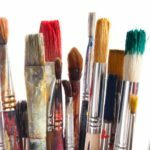 Our classes and workshops in drawing, illustration, painting using a variety of media such as oils, acrylic and watercolor, and ceramics are offered year-round for all ages and skill levels. Our instructors are working artists, illustrators or cartoonists who are passionate about engaging the community in the arts and dedicated to bringing out the creativity in their students. 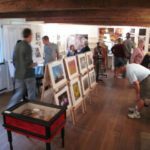 There are many ways in which you can support the Farmstead Arts Center – from attending an event or exhibit to becoming a member, donor or corporate sponsor, volunteer or board member. No matter how you choose to support us, you can make a difference! 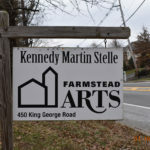 Funding has been made possible, in part, by a grant from the New Jersey State Council on the Arts / Department of State, a partner agency of the National Endowment for the Arts, through funds administered by the Somerset County Cultural & Heritage Commission through the State / County Partnership Local Arts Program.